You’re thinking that the Aussies are super chilled people who knock off work at 3 pm every Friday and head to the local bar for a team beer. You’re thinking you’ll be home early to spend evenings with the family relaxing and being together. There is a big misconception around having a work-life balance in Australia that’s superior to the rest of the world. But that’s just not the case that I’ve experienced, along with many people I’ve spoken to about it. You’re expected to work hard here, so don’t think you’ll be clocking off earlier than your current job. Most people I’ve spoken to say they’ve never worked harder than they do in Australia. Most jobs start between 7 and 8 am, depending on the niche obviously, and most work through to at least 4-5 pm. Overtime? Sure there might be overtime, but don’t assume you’ll be paid for it. All the contracts my husband and I have had while working here clearly state, if overtime is required, there is no extra pay in return. It’s just an accepted part of the job. If you need to work a Saturday, it’s unlikely you’ll see an increase in your pay that month. You’re dreaming of balmy weekends on the beach, having a swim or surf, and exploring your new home town or city. Living In Australia Reality #2: That house ain’t gonna clean itself! Let’s face it, most people who come here get a shock at just how much time it takes to clean your house and do your gardening. Coming from South Africa, if you’ve been used to having help around the house and garden, it’s going to be an adjustment. Similarly, coming from Europe, where the houses are generally much smaller as well, cleaning a 4×2 house takes significantly longer than a 2 up 2 down in the UK. You might be frustrated at all the time you spend keeping your home and garden tidy, but don’t let it become a negative. Enjoy the fact that you can weed your front garden and wave hello to the neighbours because you don’t have a 6-foot wall separating you from the rest of the world. Plan your cleaning and gardening into your schedule and get the whole family to pitch in, so it doesn’t affect the rest of your leisure time, and it won’t become a burden. Aussies are so warm and welcoming, I’ll make new friends in no time! If you already know people when you arrive, that’s a massive help. They can quickly accept you into their fold and introduce you to new people as well. But if you know no-one, or have only one or two acquaintances, it’s going to be tough. Don’t expect to build solid friendships quickly. It’s probably taken you years, if not decades to create your current circle of friends that you love and trust, so don’t pressure yourself to find new ones in the first few months or even year. But do make an effort, go out, and meet new people. My golden rule when it comes to making new friends is never turn down an invitation for the first 12 months (at least!). Even if you don’t particularly like the person inviting you, or you think you don’t know them well enough. You just never know who you’re going to meet when you go along, and your new bestie might be right there waiting for you. Also, don’t assume that you’ll get along with certain people just because they are South African. I remember going along to a night at someone’s house not long after we first arrived. I had met a lovely lady who invited me to her house for a casual dinner, drinks and movie night with her girlfriends. She told me a few were South African so I thought at least I’ll have something to chat about to some of them. Well, how wrong was I. 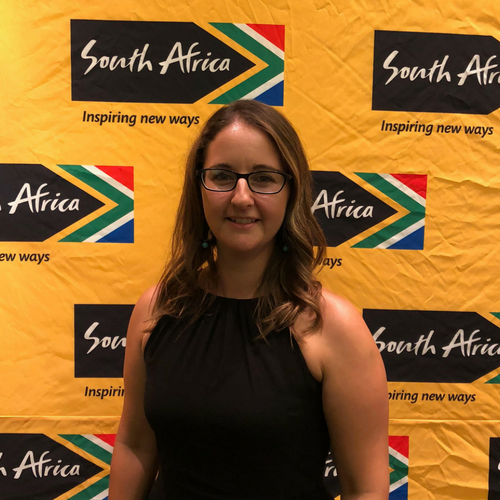 The South Africans could barely be bothered to speak to me the whole night and it was really deflating after my expectations. But if I hadn’t gone, I would have never known! I just had to pick myself up and try again. Making friends via your kids can also help, although this only really works if they are on the younger end of the scale (around 8 and under). This is because when it comes to school time, the younger kids need to be dropped at the classroom and picked up from the classroom. That means time to chat to other parents, plus be helpers in class when required. The main thing to remember is to never give up. Just one or two good connections can make the world of difference, and most people are really friendly and welcoming. You’ll just have to make a concerted effort to be noticed. It’s a massive comfort to be relocating somewhere where people speak the same language as you do. So seriously, how could there be any issues when chatting to locals? Until you move to Australia, you can’t prepare yourself for the way the Aussies talk. And if you’re living somewhere with a range of different nationalities (like Perth! ), each nationality has their own lingo too. Getting to grips with Australian greetings is crucial, plus some other slang, if you don’t want to look like an idiot. If you do, don’t stress, it happens to the best of us. I can’t count how many funny stories I’ve read about misunderstandings due to language used. Bring a plate is one key one. Bring a plate does NOT mean bring a plate – it means bring a plate OF FOOD. If someone tells you to bring a plate to their house, don’t turn up with an empty plate. It might be a funny story in years down the line, but it won’t be funny to you at the time! Another one is the classic Aussie greeting: “How are you travelling?”. This is not because they’re interested in your recent mode of transportation. It’s their version of South Africa’s “howzit” or the UK’s “alright?”. 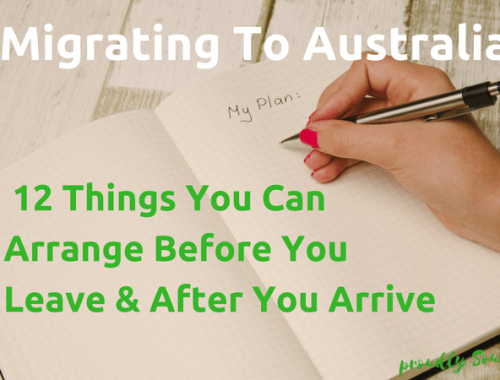 Get more tips on Australian slang for new migrants here. Living In Australia Expectation #5: I’ll spend all my spare time exploring my new city, state and country. Aussie Aussie Aussie oi oi oi! You’ve spent all this money, time and effort to move to Australia so you’re going to discover the whole damn country! This is not forever but certainly, for most people, money might be tight for the first few years. If you’ve not been able to bring over a large sum of money with you (e.g. equity from your house sale or cashing in your South African retirement annuities), chances are you’ll be saving up to buy all over again in Australia. And if you don’t have a job lined up for your arrival (who are these people?? ), you won’t be splashing your cash until you’ve got more coming in on a regular basis. We’ve lived here for almost 6 years now and the furthest we’ve ever travelled for a holiday is the Pinnacles up north and Albany down south. My husband and I have done some travel for work, but that doesn’t really count does it? 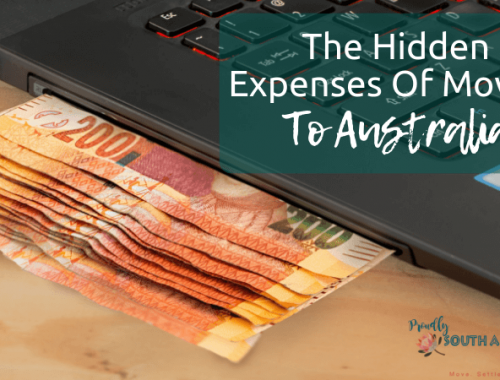 First problem is money – it’s so darn expensive to travel in Australia, especially as a family. I think if you’re a couple or single, it’s way more affordable as you don’t have to consider anyone else except yourself. Secondly, time. Most employers offer a standard 20 days of holiday a year. Doesn’t sound that bad right? However, many companies close down over Christmas for at least 2 weeks. So when you’re effectively forced to use almost half your annual holiday allowance during the two most expensive weeks to travel anywhere in the world, that kinda limits when and where you’re able to go for the rest of the year. Living In Australia Expectation #6: You’ll love it! Australia is the Lucky Country, what’s not to love?? Living In Australia Reality #5: You might hate it! But hopefully only for a while! If you put your all into making a new life in Australia, it will eventually feel like home. For some, it takes weeks, others months or years. There is no deadline by which you ‘should have’ adjusted. We’re all different so don’t let other people’s experiences affect your own. 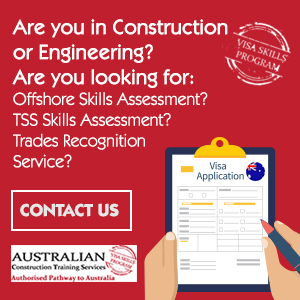 Where you surprised by your new lives in Australia? 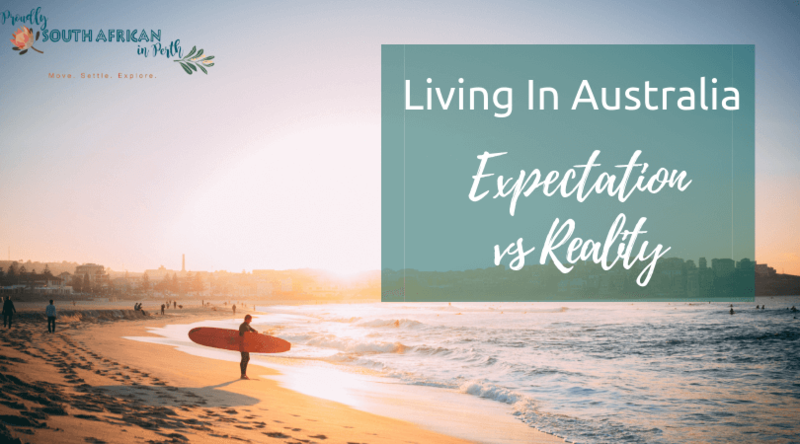 Did your expectations live up to the reality of a new life down under? Let me know in the comments below. Once again a good read and should be handed out with every Visa application??? The one bit of slang that kept me guessing for ages : SPAG BOWL ? Spagehetti bolognaise ! It was on the often heard buy Pork advert ? What got me even more confused was the Pork not Beef mince! The “Mare”was actually the Mayor and Marhone is the color maroon. Finally to add is that we may laugh or not agree with some of the pronunciations or names BUT be constantly aware we are not here to change Their Culture or ways of communicating! We are here and accepted by the Australians and they OWE US NOTHING!! we owe them a Huge Thank YOU! Hi Engela, to open a bank account here you need to have a valid visa and an arrival date. Some banks will allow you open an account in person if you are here for a visit, but it depends on their requirements. 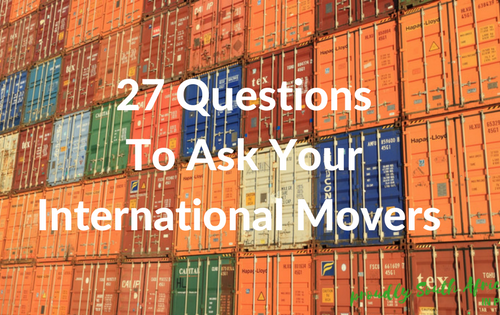 You’re welcome to email me at reeva.cutting@randgroup.biz for personalised advice on moving money and financial emigration. Hey Reeva! I love your blog. I think they are super helpful and informative. I’ll be joining UWA in about 2 weeks so I’d really love if you wrote something on Uni life here in Perth(or Australia).